Happy New Year to my other favorite Tuxie/Orange cat pair. And their humans. Don't party too hard Waffles! Happy New Year! I bet Waffles is dreaming of chicken! We are gonna party dance party just like Waffles and probably nap right through! We hope you guys all have a very Happy New Year and that 2015 is just full of fun, happy, joy, love and good health and fortune. Happy New Year to y'all!!!! God bless the entire Glofamily in 2015!!!! You'are both such party animals! Happy new year to you both! Waffles, we wanna party with you! Happy New Year's Eve! We will join you for the partying and dancing, Waffles!!! Happy New Year to you all! Happy New Year! Waff, we totally see you as a serious party mancat. 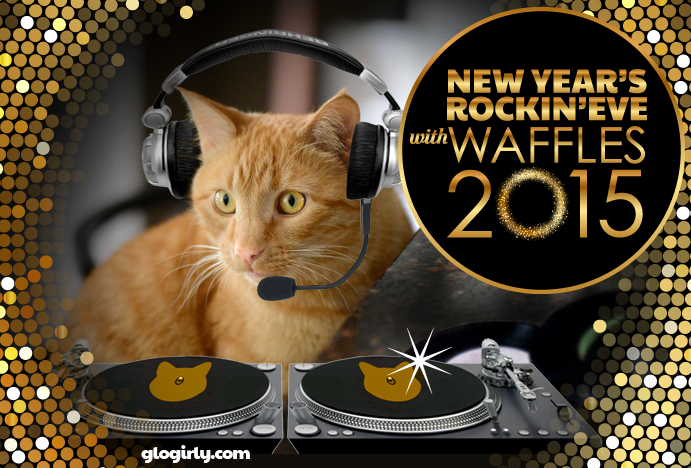 Waffles, you make a good looking DJ. Katie, I adore your 2015 glasses. Happy New Year, friends. Happy New Year & Eve you guys! 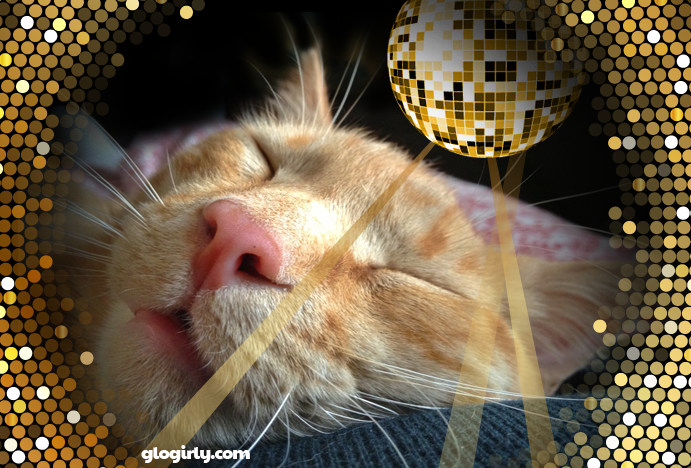 Have a very sparkly new year, cool cats! Here's to a Happy and Healthy New Year for everyone!!! Oh, and Waffles can you save a dance for my Fionna she loves to dance. Happy New Year Waffles. I'm looking forward to seeing what you'll be up to next. Pawsome pictures! Happy New Year! 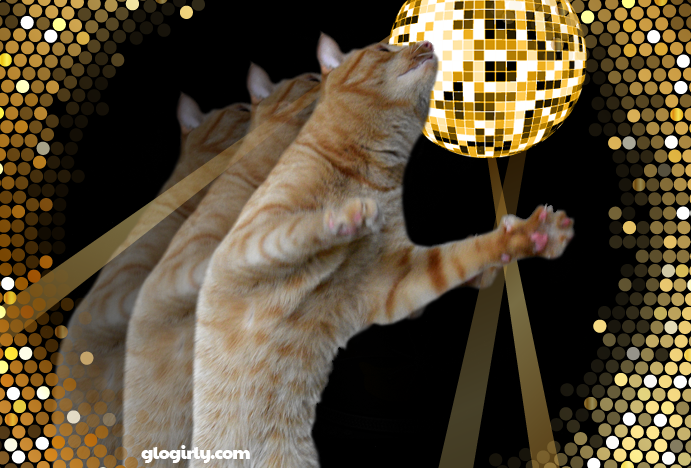 Happy New Year Katie & Waffles & Glogirly & Gloman..Thanks for all the laughs you shared with us in 2014..I'll talk to you next year..MOL.. Happy New Year to you and your family. Katie, I see you are the most sensible one there. Looks like Waffles has already had a little too much of celebrating. Yippee! Both Waffles Wednesday and New Year's Eve! You party over there, Wa...um, Waffles? MOL! Well, we wish you all a wonderful 2015! Happy New Year! Happy New Year. 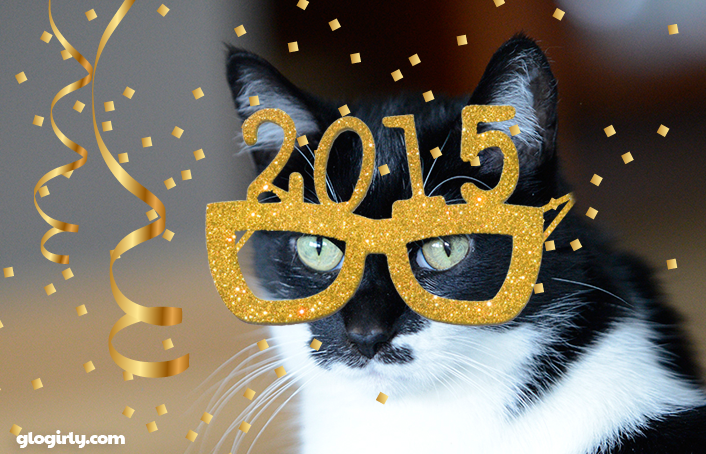 May your year be blessed with love,joy,catnip and lots of chicken. Happy New Year's Eve! See you tomorrow/next year :) Hope you all have a great night tonight! Love your glasses Katie, you looks so elegant. We are going to go snooze with Waffles, we are light weights too. Wishing you a happy healthy new year!! Waffles, that will be mum snoozing her way through midnight! Faraday: *pumps paws* oooh yeah, we bad, we bad, we're rockin' it NOW bay-bee! Allie: oh pleeease, you and Waffles together couldn't "rock in the New Year" even if you *had* all your wits about you. That kind of thing takes CLASS.